I had slug problems last year but this year has been horrible! Last year they destroyed my string beans and did some damage to my hostas. Since I could not deal with them again I figured I would skip the beans this year, assuming that was attracting them to the yard. I was wrong. Without the beans this year they attacked my hostas will full force. Plus they decided to go after ther bird suet that we hung from of of the trees. Yes, they moved on from foliage to deer fat. Well I kept a box of salt by our door last year and was pretty aggresive with my Morton’s assault. This year I knew I had to try a new approach…. Beer. While Price and I were sitting outside last night- he smoking a cigar and me getting eating alive we remembered to put a bowl of beer out to teach those slugs a lesson. So we dug a bit and put the bowl in the ground and filled it half way with some Bud Light. So this morning I fought my addiction to watch the news and went outside to water the sunflowers I planted out front a week and a half ago and see if the beer trap worked… Victory! There were about a dozen plump slugs that died from alcohol poisoning. Sweet. 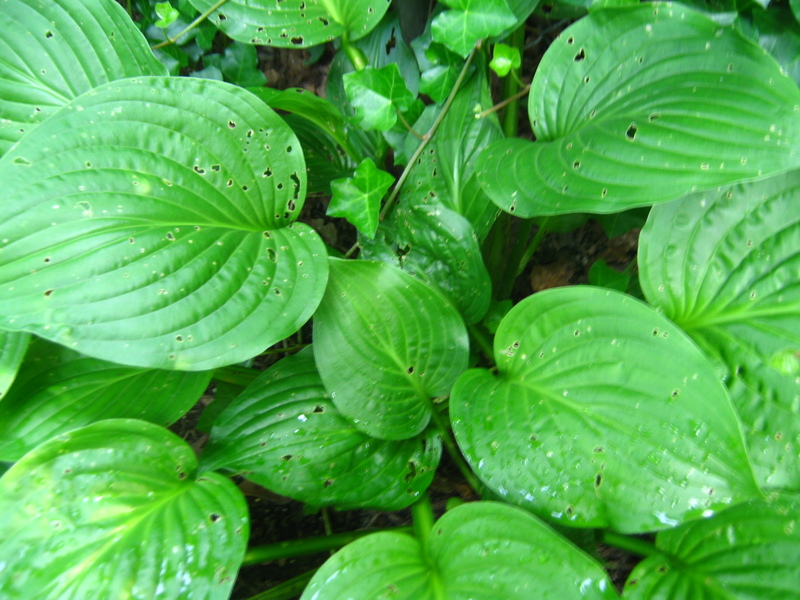 Sorry critters, I just enjoy hostas more than you. 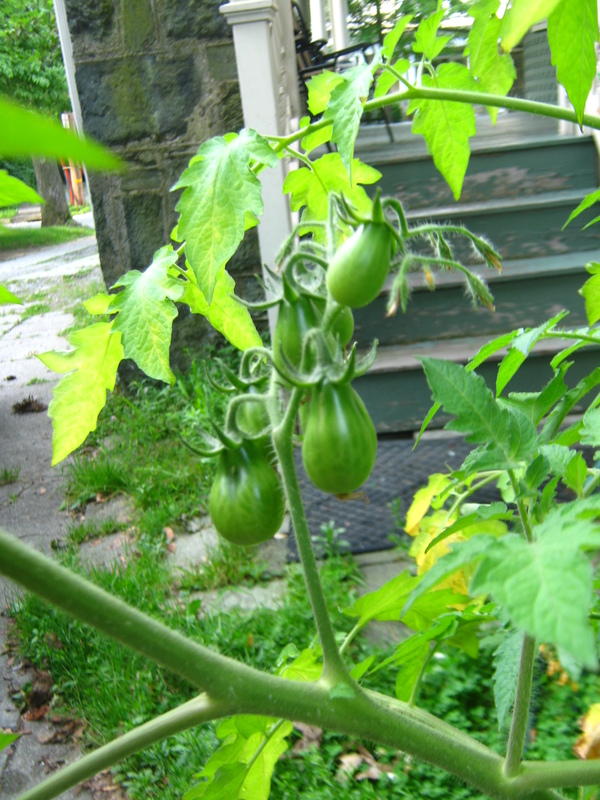 Also on the plus side- my tomatoes are doing well. I should be able to start to pick my yellow pear tomatoes in about a week or so. PS- the buns enjoyed the beet greens that I gave them last night.